Find the best replacement windows in Basking Ridge NJ is easy with Markey Home Remodeling in Manville, NJ. If you are planning an addition for a growing family or simply want new replacement windows, finding a competent and reliable replacement windows contractor is the first step to a successful and satisfying home improvement project. At James T. Markey Home Remodeling, we provide window installation services throughout NJ. We a are fully licensed and insured replacement window contractor. Unlike other renovations, replacement windows can actually pay for themselves through noticeable energy savings over time. 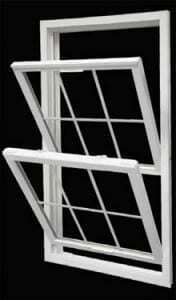 Additionally, new window dramatically improve the appearance and appeal of your home both inside & out. Our professional window installers have the knowledge and the experience to ensure that your window needs are met and that your home will have windows that will make it look great. To learn more about our window options, or have one of our staff provide you with a custom estimate, simply click here and fill out our estimate form.